Speed Management - Statewide - TADI - Traffic Analysis & Design, INC. Speed Management - Statewide - TADI - Traffic Analysis & Design, INC. The Wisconsin DOT’s Speed Management Improvement Project sought to improve the overall understanding of speed and speed-related safety on Wisconsin highways. TADI’s role was to identify speed and safety issues on state highways and recommend engineering countermeasures to potentially mitigate issues identified. In doing so, TADI closely worked with each Wisconsin DOT’s regional safety/speed engineers to identify corridors fit for the study. The scope of the study was massive, encompassing 175 miles of highway, 3,000 crashes, and over 100 speed count sites. TADI also researched speed mitigation (i.e., traffic calming) techniques and created a series of one-page flyers with information about their effectiveness. 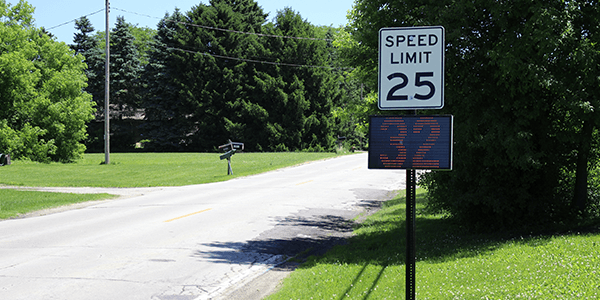 The Wisconsin DOT used TADI’s work on this project to reinforce the principles outlined in the Wisconsin Speed Management Guidelines and consider implementation of specific speed/safety recommendations throughout the study.